Summer is right around the corner, which means South Florida is about to be more hectic than ever as travelers worldwide depart on hundreds of cruises from Fort Lauderdale. 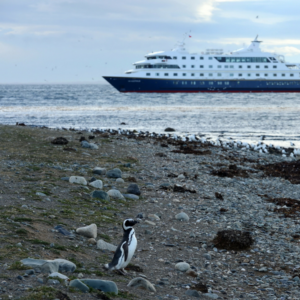 From the Bahamas to South America, there are a plethora of places to visit – it’s no wonder people take full advantage of all the experiences different cruise lines have to offer. The Carnival Conquest cruise is a fan favorite. This Bahamas cruise from Fort Lauderdale will take you to Half Moon Cay and Nassau, so be prepared for a rendezvous or two in the sea and sun. This cruise is by no means trying to give off illusions of pretentious splendor, so be prepared to let loose and have a shamelessly enjoyable time on the ship. Depart from Port Everglades, then enjoy the ride as you make your way to beautiful and private islands in the Bahamas before heading back. 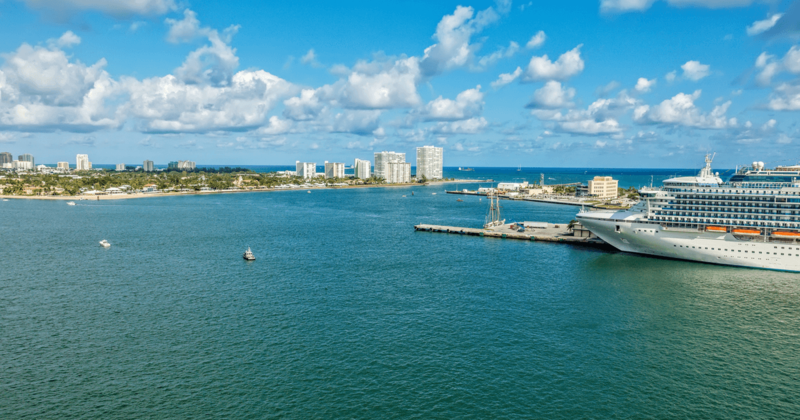 If you’re looking for a quick getaway to unwind with plenty of catchy music, delicious food, and outdoor adventure, this is the Fort Lauderdale cruise for you. With well over 5,000 passengers, Royal Caribbean’s Harmony of the Seas offers a fully-equipped week of relaxation and entertainment while you cruise out of Fort Lauderdale to Haiti, Jamaica, and Mexico. One of the largest cruise ships in the world, the Harmony of the Seas has a special “neighborhood” layout in order to prevent overcrowding and congestion. No matter which neighborhood you choose to spend your time in amidst exploring the beauty of Labadee, immersing yourself in the rich culture of Falmouth or discovering the hidden gems of Cozumel, you’re sure to make the most of your time on this trip. If you’re looking for last minute cruises from Fort Lauderdale, then you need to snag this ultimate Allure of the Seas experience – its next departure is May 27, so make sure to act quickly. The 225,282-ton ship will take you to explore the shops of St. Maarten, roam the cobblestone streets of San Juan and experience the world’s largest over-water zipline in Labadee, all while catering to any specific type of cruiser you may be. Like its twin, Harmony of the Seas, the ship takes on a special layout consisting of seven neighborhoods, assuring your immediate satisfaction at any given moment, for any given mood. After a May 2015 facelift with new cabins, dining areas, shops, lounges, and Wi-Fi, you’re sure to feel pampered and relaxed between ports. Whether you choose to shop ‘til you drop or lounge poolside and read to your heart’s content, no decision is a bad one. 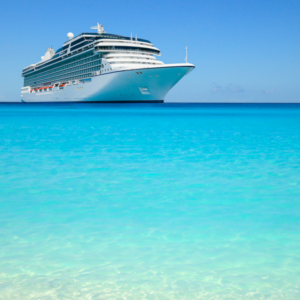 Embark on an exhilarating 10-night excursion of a lifetime with this Island Princess cruise out of Fort Lauderdale where you will set sail and adventure to over five ports to the Caribbean and South America. From indulging in traditional Jamaican cuisine in Falmouth, exploring the stunning, history-rich city of Cartagena, to soaking up the sun by the crystal clear waters at your last stop in Grand Cayman, there will never be a dull moment on this trip. When you’re not at a port, you can savor the ship’s freshwater pools, hot tubs, sports courses and onboard, world-class shopping. These are just a few of the many Bahamas and Caribbean cruises from Fort Lauderdale you can choose to enjoy and let loose on this summer. However, with great pleasure comes great responsibility. Before you pursue any summer escapade, take extra precaution and protect yourself from any potential dangers with travel insurance through Yonder Travel Insurance – get an instant quote now!